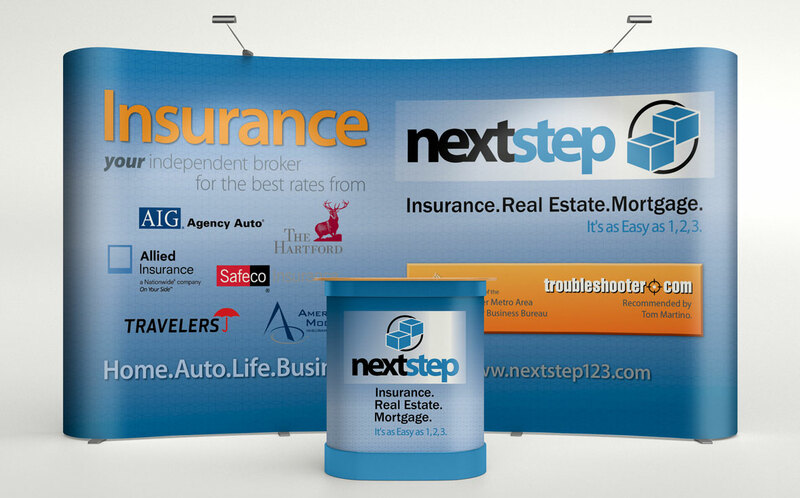 Big, bold and attention seeking, these trade show displays got people to stop and ask about insurance (and $50 if NextStep couldn’t reduce your payments). 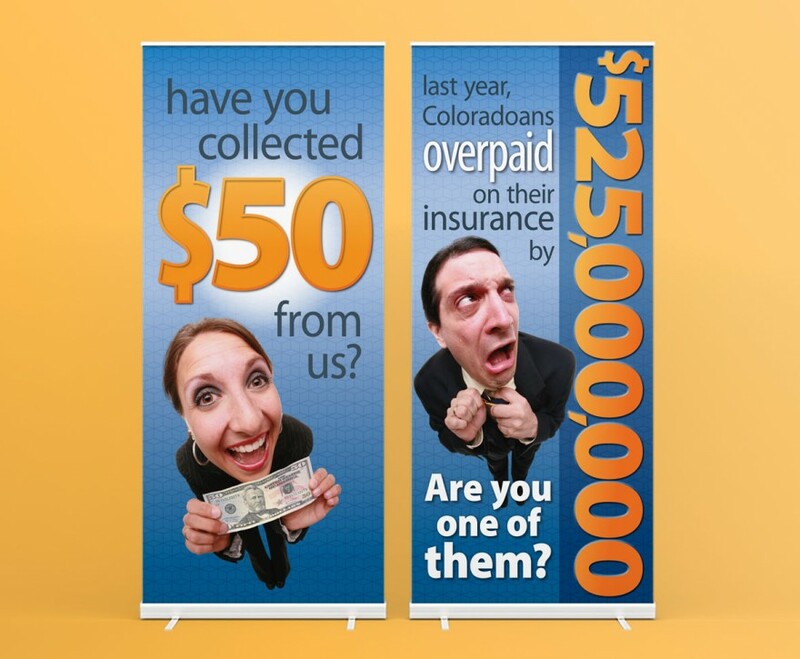 Funny stock photography (adjusted to add the $50 bill) got the point across faster than any text could. 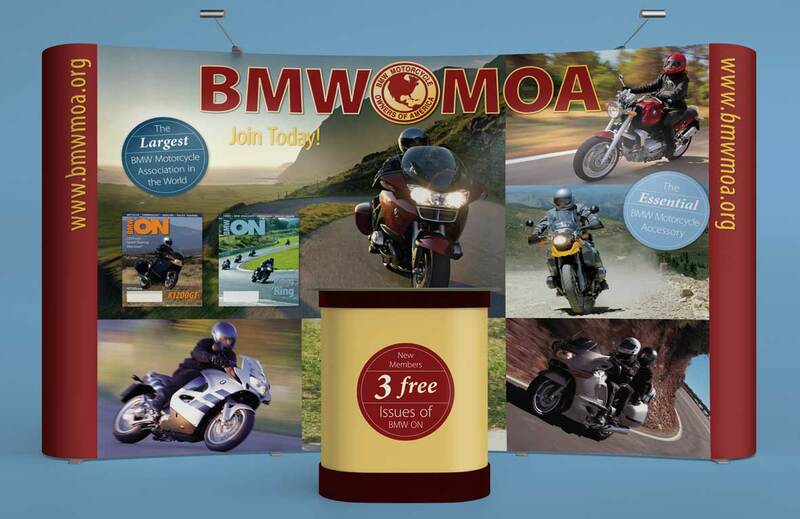 The BMW Motorcycle Owners of America needed a trade show display which could be used at many different types of shows and over several years. 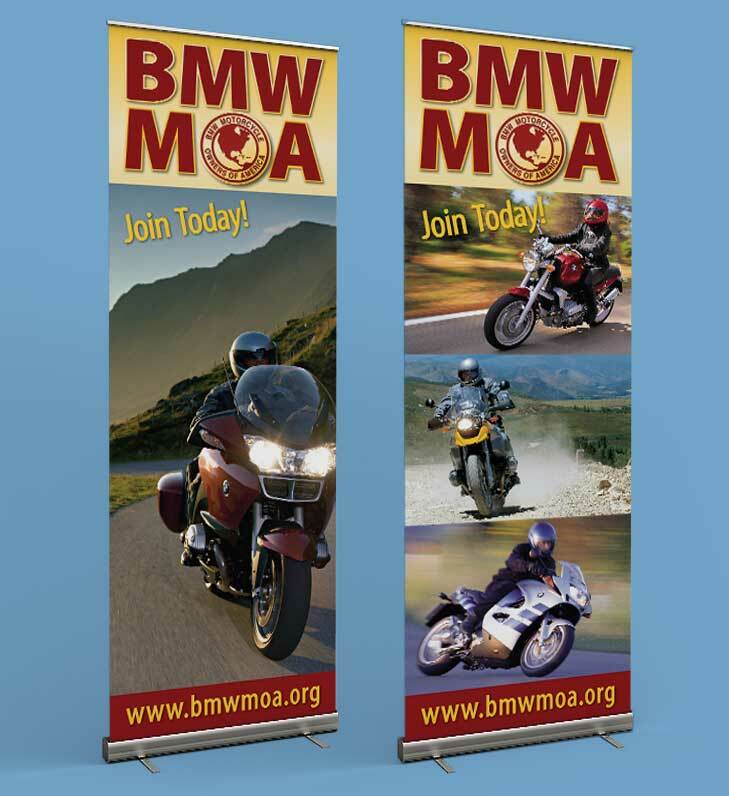 The design, therefore, has prominent name and web page placement with generic BMW motorcycle images on the main and roll-up displays. Call-outs with specific marketing language were produced separately and could be attached and detached depending on which audience would be present. 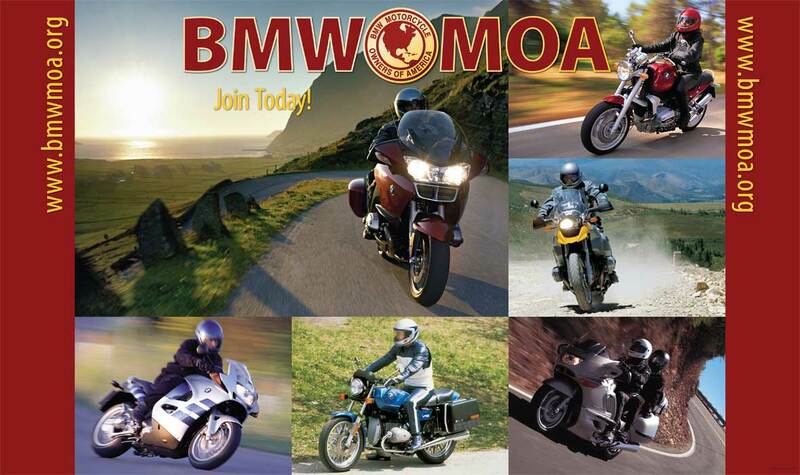 Separate blow-ups of magazine covers could likewise be updated over time.